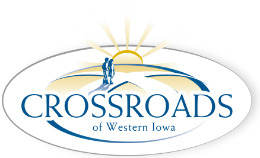 The Crossroads of Western Iowa Foundation promotes several awareness campaigns throughout the year, some related to fund raising events, and others supporting regional campaigns like the recent OMAHA GIVES! Day of Giving on May 20th. This year, bonus dollars were added to the project, to enhance the giving totals. Bonus dollars were available through the Pottawattamie County Community Foundation and the National Association of Railway Business Women.